b. 28 Apr. 1756, 1st s. of Thomas Pelham†, and Baron Pelham, and bro. of Hon. Henry Pelham*. educ. Westminster 1766; Clare, Camb. 1773; Grand Tour (Spain, France, Italy, Germany, Austria) 1775-8. m. 16 July 1801, Lady Mary Henrietta Juliana Osborne, da. of Francis Godolphin Osborne†, 5th Duke of Leeds, 4s. 6da. summ. 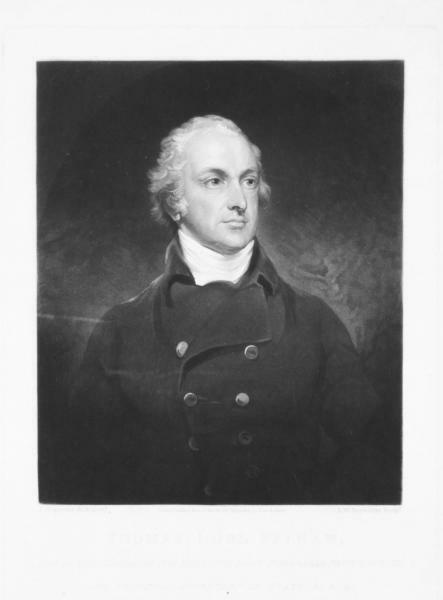 to the Lords in his fa.’s barony as Lord Pelham 29 June 1801; suc. fa. as 2nd Earl of Chichester 8 Jan. 1805. Surveyor-gen. of Ordnance Apr. 1782-Apr. 1783; chief sec. to ld. lt. [I] Aug. 1783-Feb. 1784, Mar. 1795-Nov. 1798; PC [I] 13 Sept. 1783, [GB] 11 Mar. 1795; sec. 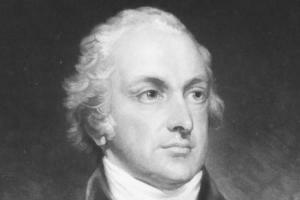 of state [I] June 1796-June 1801; commr. Board of Control May 1801-July 1802; sec. of state for Home affairs July 1801-Aug. 1803; chancellor of duchy of Lancaster Nov. 1803-June 1804; capt. yeomen of the guard 1804; jt. postmaster-gen. May 1807-Nov. 1823, postmaster-gen. Nov. 1823-d.
Lt.-col. Suss. militia until 1793, 1794-1803; lt.-col. commdt. Pevensey regt. 1810. Pelham, who had joined Brooks’s in 1780 and the Whig Club in 1786, sat undisturbed on the family interest in East Sussex for the remainder of his career in the Commons. His engaging manner and equable temperament had gained him the friendship of opposition leaders and his reputation for intelligence and reliability gave him a position of some weight in the second rank of the Whig hierarchy; but he was neither a confident nor accomplished speaker and made no major contribution to debate in this period. I was very desirous of speaking if the House had not been so hot that I could not bear to remain in it more than ten minutes at a time, and indeed there was no very fair opportunity for I had the good fortune of agreeing with Fox though Adam, he and I were the only three of the same sentiments. We disapproved of the proclamation because it spread unnecessary alarm, and we disapproved of the Association as ill timed and improper in every respect. informed as I am at present my opinion is with Windham. It is the first time in my life that I read a speech of Fox’s in which I thought that verbiage had taken the place of argument and that I was not convinced of the truth of some principles in it though the general argument might be contrary to my opinion ... how Fox ... can doubt of the bad intentions and hostile intrigues of the French against us is perfectly incomprehensible. I certainly never had been very anxious or impatient about office; that I had given him full credit for wishing to promote me when he could, and therefore I had not troubled him, but that I must own my income was so limited that office would be very convenient to me, and that I certainly was not above asking for it if there was any particular one that I wished for, and also there were some which my health would not allow me to undertake. Assessed by Lord Holland as ‘somewhat time-serving’, but ‘a good-natured and prudent man’,16 he held office of some description in each successive administration, apart from that of the ‘Talents’, until his death on 4 July 1826. 1. Add. 33129, f. 35; 51705, Pelham to Lady Webster, 13 June 1791; Malmesbury Diaries, ii. 454; Burke Corresp. vi. 452; vii. 30. 2. Add. 51705, Pelham to Lady Webster, 27 Apr., 28 May, 15 June 1792; Minto, ii. 56. 3. Add. 33101, ff. 129, 131; 33129, ff. 85, 103, 128, 131, 136, 141, 143, 145, 149. 4. Add. 33629, ff. 5, 26; 42058, f. 126; 51706, Pelham to Lady Webster, 7 Dec. 1793; Jnl. of Lady Holland, i. 104, 118-19; Malmesbury Diaries, iii. 23-25. 5. Add. 33629, ff. 13, 30; 33630, ff. 3, 10, 12, 18, 21, 32; 33631, ff. 1, 5; 51706, Pelham to Lady Webster, 4, 20,  Feb., 7 Apr. 1794. 7. Add. 33630, f. 23; 33631, f. 10; 51706, Pelham to Lady Webster, 27 Feb., 26 Mar., 7, , 10 Apr. 1794. 8. Malmesbury Diaries, iii. 96; Portland mss PwF7417; Add. 51706, Pelham to Lady Webster, 15 June 1794. 9. Add. 51706, same to same [July 1794], 15, 26, 29 Jan. 1795. 10. Ibid. same to same, 10 Mar. 1795; PRO NI, Sheffield mss T2965/115, 117, 118, 123. 11. Add. 33101, ff. 356, 364, 368, 376; 33129, ff. 324, 330, 332; Portland mss PwF7424-9. 12. Barrington, Personal Sketches, i. 328; Add. 51682, Wycombe to Lady Holland, 21 June 1798. 13. Add. 33106, ff. 70, 94, 98, 282; Geo. III Corresp. iii. 1701, 1759, 1820; Castlereagh Corresp. i. 325, 344, 375, 378, 391, 411, 416, 419. 14. NLS mss 11052, f. 88; 11139, f. 141; HMC Fortescue, v. 70, 80; Add. 33130, f. 173; PRO 30/8/327, f. 51. 15. Add. 33107, ff. 23, 31, 37, 42; 33130, ff. 203, 205, 210; Geo. III Corresp. iii. 2350, 2357. 16. Mems. Whig Party, i. 112.